Luigi 'Gigi' Riva, who was born on this day in 1944, is widely regarded as one of the finest strikers in the history of Italian football. Despite playing in an era when football in Italy was notoriously defensive, he scored more than 200 goals in a 16-year club career, 156 of them in Serie A for Cagliari, with whom he won the Scudetto (shield) as Italian League champions in 1970. Nicknamed 'Rombo di tuono' - thunderclap - by the football writer Gianni Brera, Riva is also the all-time leading goalscorer for the Italian national team with 35 goals, his record having stood since 1974. 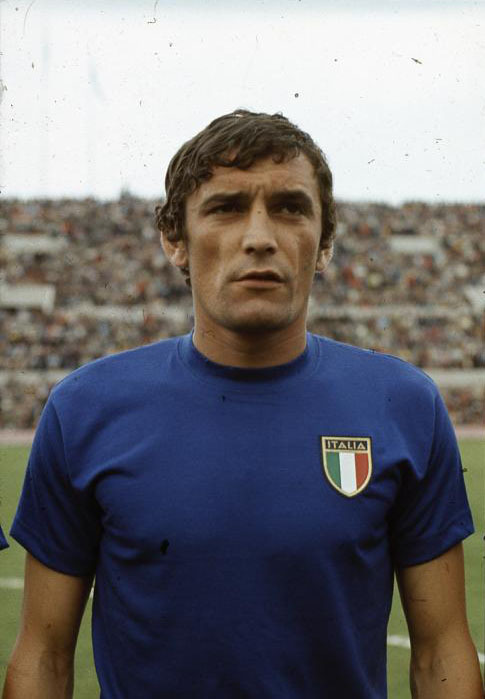 After his playing career, Riva spent 23 years as part of the management team for the Azzurri and was a key member of the backroom staff when Italy won the World Cup for a fourth time in 2006. Born in Lombardia, not far from Lake Maggiore, Riva spent virtually his whole football career with Cagliari and made his home in Sardinia. The 1969-70 title is the only championship in the club's history and Riva, who scored 21 goals in the title-winning season, is as revered on the island as Diego Maradona is in Naples. Although he came from a loving home in the small town of Leggiuno, just a few kilometres inland from the shores of Lake Maggiore, Riva had a tough upbringing. His father, Ugo, died when he was just eight years old, killed in an accident at the foundry where he worked, after which his mother, Edis, decided to send Luigi to a religious boarding school, where the regime was hard. goals tally is still the highest. He did not blame his mother, who had no choice in her circumstances but to work long hours for low pay, but Riva would later confess to suffering loneliness and depression. One of his regrets was that his mother did not live long enough for him to provide her with a comfortable retirement. Release from the deprivations of school came when he was 15 and went to live with his sister, taking a job as a motor mechanic with dreams of becoming a racing driver. But it was his skill as a footballer, and in particular what he could do with his powerful left foot, that began to get him noticed. After scoring 63 goals in two seasons for a local amateur team, he earned a trial with Internazionale in Milan. That came to nothing but he was offered a contract to play in Serie C for Legnano, based about 50km from Leggiuno. He stayed there only one season. His talent attracted numerous scouts and when Cagliari offered him the chance to play in Serie B he took it. Sardinia was still a somewhat primitive island in 1963 and Riva was not sure what to make of it. His first impression was of a place 'where they sent people to punish them'. Yet he grew to love the island and the Sardinians took him to their hearts. Previously regarded as a perennial Serie B club, they were promoted to Serie A in his first season and, on the back of his goals, began to climb steadily. 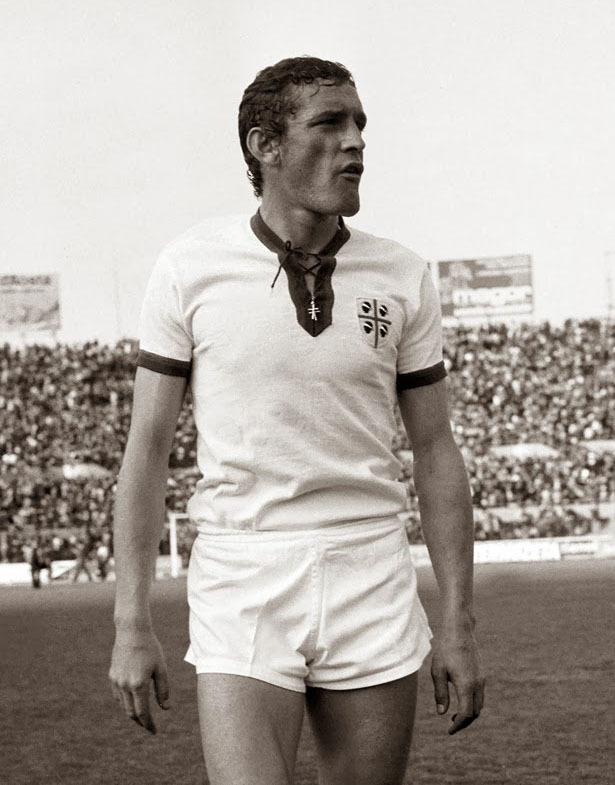 Leading Serie A scorer in 1966-67, when Cagliari finished sixth, he was capocannoneri again in 1968-69 with 21 goals as Cagliari achieved the highest league position in their history as runners-up to Fiorentina. But the crowning glory of his career was the 1969-70 season as Cagliari lost only two matches and conceded just 11 goals in winning their one and only Scudetto. Riva scored 21 goals of all kinds - tap-ins, long-range shots, powerful headers. Although some critics complained he was too reliant on his left foot, many players effective with both feet could not match his versatility. An overhead kick with which he scored against Vicenza is still regarded as one of the best Serie A goals of all time. 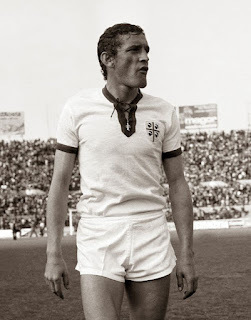 Although they had other good players, Cagliari supporters hailed Riva as the one who made it possible and his place in the island's folklore was established for all time. It might not have happened had Riva not felt so at home on the island. In 1967, when Juventus offered him a fortune to go to Turin, he had turned them down. With Italy, for whom he won 42 caps, he was a European champion in 1968 but the ultimate title of World Cup winner eluded him, essentially because the great Italian team of 1970 met an even better one in Brazil in the finals in Mexico. Riva scored twice in the 4-1 quarter-final win over the hosts and Italy's third goal in the so-called 'Game of the Century', the 4-3 extra-time semi-final victory against West Germany, but Italy were overwhelmed as the brilliant Brazilians won 4-1 in the final. Bedevilled by injuries for most of his career - he suffered a broken leg twice while playing for the national team - he retired in 1978, two years after rupturing a tendon in his right thigh. Cagliari retired his No 11 shirt in his honour in 2005. For all that he regarded himself as an adopted Sardinian, Riva never forgot his roots. In retirement, he returned to Leggiuno, where he knocked down the house where his parents had lived and built a new one in its place, staying there periodically to chat with local people, some of whom he had known when he was a child, and to reflect on the course his life had taken him. 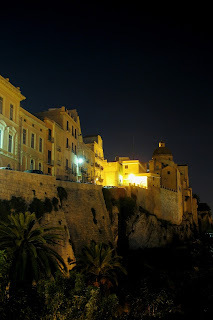 Although it is Sardinia's main port and industrial centre, Cagliari has become a popular tourist destination for the tree-lined boulevards and elegant arcades of the marina area and the charm of its historical centre, known as Castello, with limestone buildings that prompted DH Lawrence to call it 'the white Jerusalem', which take on beautiful pastel hues at sunset. Leggiuno, situated in an elevated position just inland from Lake Maggiore, is close to the Hermitage of Santa Caterina del Sasso, an extraordinary structure that appears to rise from the waters of Lake Maggiore, clinging to a sheer rock cliff face. 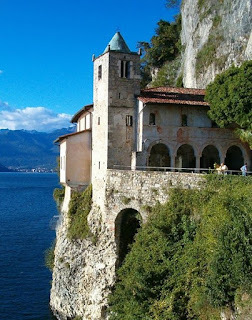 A Roman Catholic monastery dating from the 14th century, it used to be accessible only by boat or by a steep flight of steps descending from the top of the cliff. Since 2010, visitors have been able to reach it via a lift built into an old well.